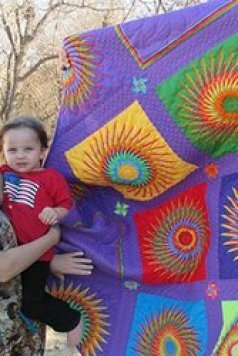 Bev Olsen from Cleveland, Minnesota just finished this quilt for her two year old grandson. She knocked our socks off with her bright colors and diagonal set design. Don't you just love her use of stripes? We certainly do! 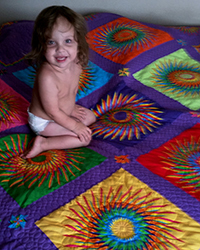 She used the Squedge 11.25 Tool and our 11.25 free pattern from December of 2013 to make her lovely quilt. Bev did a fantastic job! Bev wanted everyone to know that Joni Neiman did the beautiful quilting on her project. 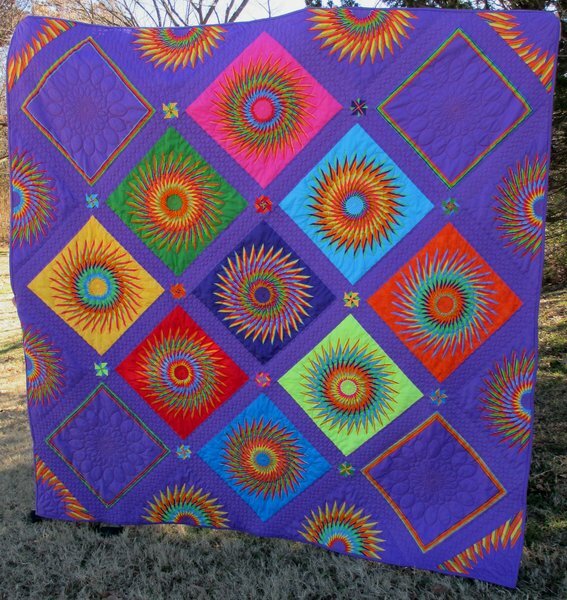 You can see Joni's work at quiltwhisperers.com Wordpress site. Gideon looks so happy on his new quilt! Great job Grandma Bev!